I decided to add to my tool collection. I couldn't get her car off the ground without using two jacks and this solves that problem. I put this here because I don't have a Z and didn't know where else to put it. Race Ramps are sweet as can be when it comes to drive-up ramps. Super-light! What's your favorite color? lol. How much did the ramps cost? Nice ramps..... wrong kind of car tho. Hey now. It's a nice car... for a girl. 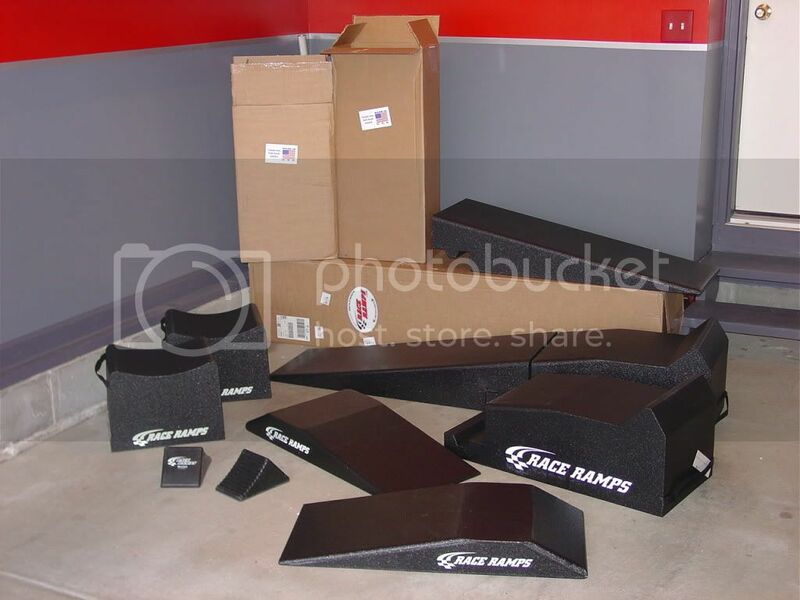 Race Ramps: You can find ten percent discount codes on the web. With a setup like this http://i205.photobucket.com/albums/b...7/DSC07302.jpg, changing parts underneath or exhaust system is probably a breeze. My pops has a four post lift but he lives a little over two hours away. This is from when I lowered the car. never seen these before, you learn something new everyday! looks really cool and functional. I like the "debadgness" you've got going on. Daily Sliding In My ZLED! Great ramps, would love to have these, but no room currently. 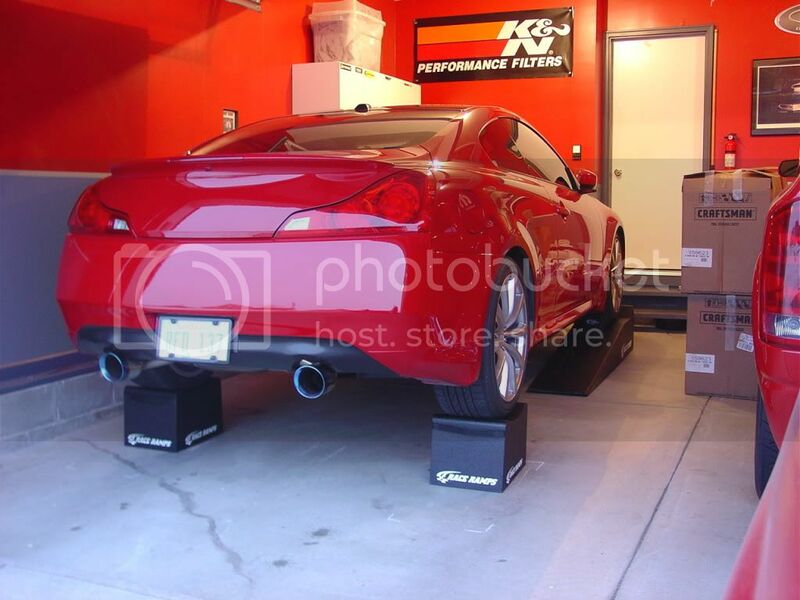 This might be a stupid question but I never used race ramps before, so did you jack up the car to get the rear on the stand? very cool! I use takeda low profile ramps from Japan, used to be sold at mynismo.com but can't find them anywhere online now. They are about a 3" lift, just enough to get the jack under.